Whether you have some dark oak furniture pieces that were handed down from relatives, or you found a beautiful piece in an antique shop and just couldn’t say no, dark oak pieces of furniture are perfect for bringing a touch of character and class to your interiors. For many, incorporating the darker oak shades into the current décor styles can be difficult, especially when you have lighter colours to work with, but if you get it right, you can create a stunning look that gives your interiors a really unique edge. Having a furniture piece with a lot of meaning and sentimental value can be risky when positioned in a frequently used room, especially if you have little ones around. You often find that in order to keep the valuable dark oak item in the room, you are best positioning it in a discreet spot, where you are still able to appreciate its beauty and sentiment, without it being used constantly causing potential damage. Similarly, by tucking your bold oak furniture piece into a corner or smaller space within the room, you can keep the natural flow of the room balanced, without throwing the décor style off completely and causing any clashing. One of the most aesthetically pleasing features in dark oak is the natural grain and dramatic colour tones and pairing this bold aesthetic with some bright colours can work really well. Select a colour that complements brown well, such as cream, pink or blue and experiment with some paired furniture pieces. For example, you may find that your dark oak furniture looks beautiful positioned next to a brightly coloured sideboard, paired up with some bright dining chairs or even finished off with a brightly coloured table runner. 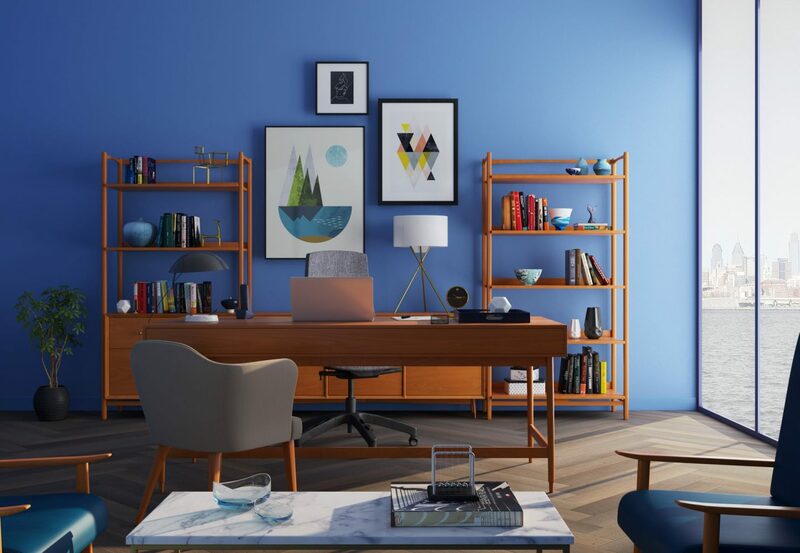 There are lots of different ways to add colour to your décor to bring your dark oak furniture to life, and after a bit of trial and error you’ll find the perfect fit and your interiors will pop with character. If your furniture piece happens to be old and losing its charm, you may want to look at ways in which you can bring the piece back to life and enhance the beautiful dark oak. Upcycling has become more and more popular over the last few years, with the help of Pinterest, and there are some amazing ways in which you can transform your current dark oak piece into a stylish, on-trend piece that looks almost new. From adding some new handles or pulls to a dark oak chest of drawers, a chic glass top to a dark oak coffee table or even by simply filling in the panels of a dark oak wardrobe with a new colour, you can instantly change the whole look of the piece and create a really fresh piece, without having to spend an arm and a leg either. When it comes to specific décor trends, you’ll find that whilst having a clear design throughout the room is key, you can get away with introducing one bold feature to create a focal point that will instantly draw the eye. You can create a focal point within the room by positioning your dark oak furniture piece in a space that is central to the room, which will draw the room together perfectly. You can then add to the focal point with some additional décor touches to really enhance the piece and bring it to life.